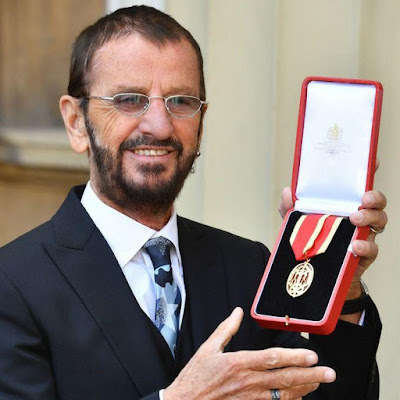 Meet the Beatles for Real: Arise Sir Ringo! Today is such a big day for Beatle fans! 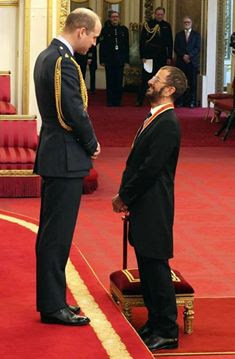 Ringo Starr is now officially Sir Richard Starkey. I can't help but think of Ringo's Mum, looking down at her baby boy with pride. Little Richy, who grew up in the Dingle in Liverpool, who wasn't supposed to live past the age of 10 is now 77 and is a knight! 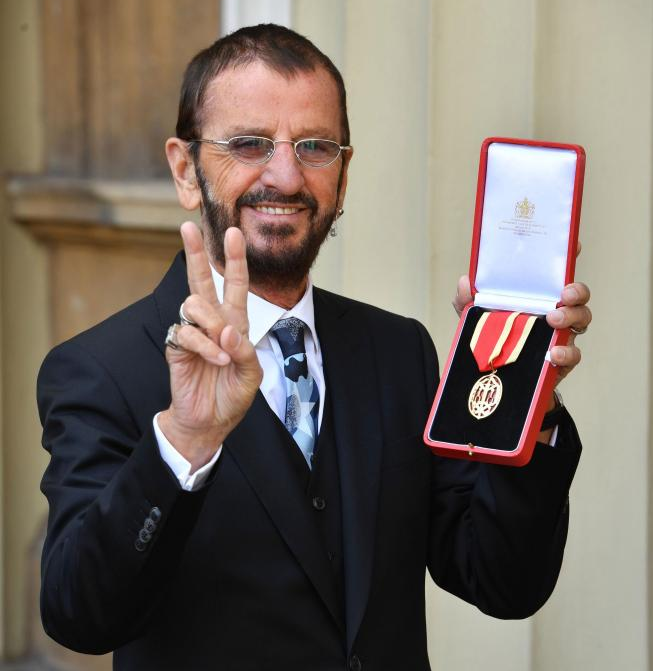 I want to say that Meet the Beatles for Real is extremely happy and excited for Ringo to receive this achievement. 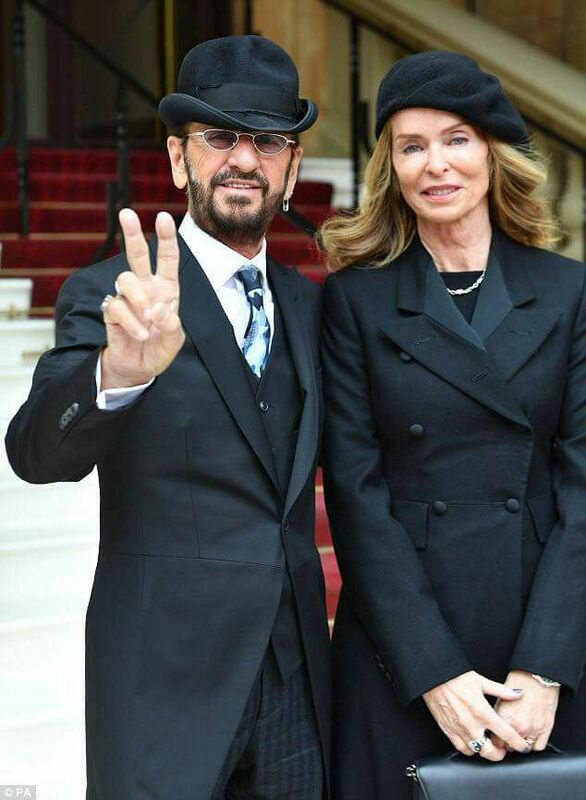 I love the photos from today because Ringo looks so handsome and he looks extremely happy. I feel like we haven't seen the true Ringo smile in a long time. Today it returned. Congratulations Ringo -- peace and love! Ummm....some people need to keep quiet. I don’t see any run on sentences. "The best for the best" well done Richie. Peace and Love. Nice to think Richie and Barbara are back in London, where they belong. Alan said "fifty years later, still a realy nice guy,a safe guy, genuine, decent, and a credit to his family". Run on sentences or not, we're not students in some English class. It's a message board, people. Relax. Take a deep breath. In. And out. That's better. Love the photos! They both look great and so happy. 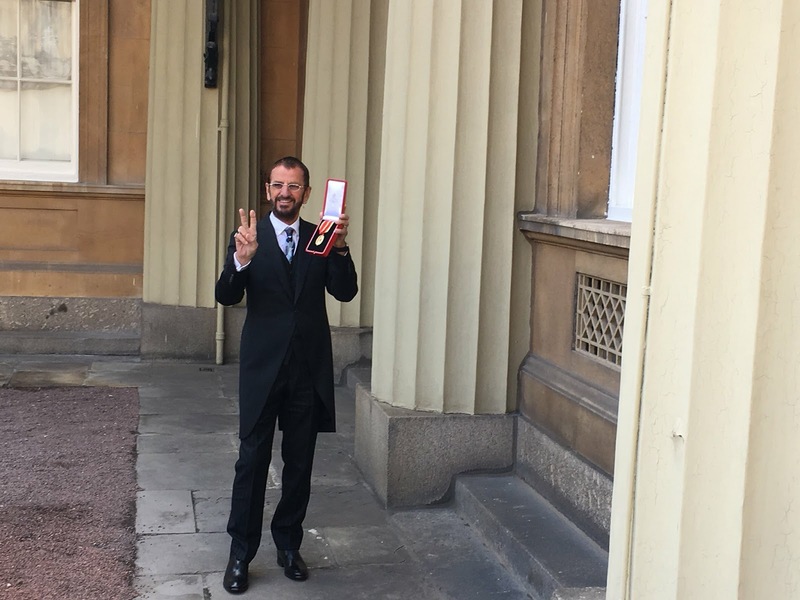 Well done Richie! Seriously, Anonymous, don’t be that way. Gave an amusing and relaxed interview to the BBC reporter too. Funny, my first thought was of Elsie too.